Maybelline has a new mascara called the Falsies Push Up Angel! And they are giving out Free ones! 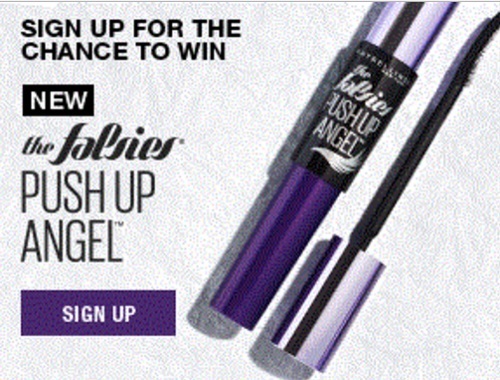 Sign up for the Maybelline newsletter and you could win 1 of 10 The Falsies Push Up Angel mascaras this week!